The “World’s Fair”-ness of the exhibit lay in the fact that the Chunky-making process was almost completely automated. 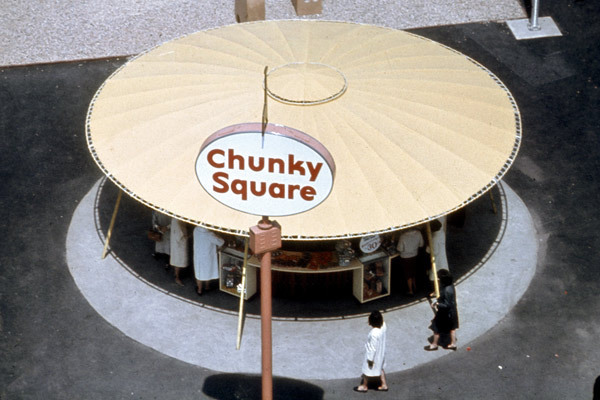 Chunky Square also contained a playground filled with various sculptures for children to play on. Called the “Sculpture Continuum”, the shapes would take animal forms when viewed from certain angles. Pretty cool, but how does that fit in with Chunky again?